I want to introduce you, readers, to Ms. Pak (not her real name, of course), a North Korean small trader. She left her country about a decade ago, but back in the early 2000s, she was one of the first foot soldiers of the emerging market economy. Back then this economy was not exactly in its infancy, but the level of sophistication was well below what we can see now: at the end of the day, it was the efforts of millions of people like Ms. Pak which helped to pull the North Korean economy from the abyss of the 1990s. Ms. Pak graduated from a high school in a small countryside town. Her family was poor and occupied an unremarkable place in the elaborate songbun system: she was not at the bottom of this class structure, but slightly below average, so the idea of going to a college did not cross her mind. College was for the top 15% or so of all students, and she was clearly average, so she did what people around her expected: she went to work a semi-skilled job at a local factory. Even though the factory was privileged, the pay was bad, so in her early twenties, Ms. Pak joined her family’s small business: she began to sell seafood. 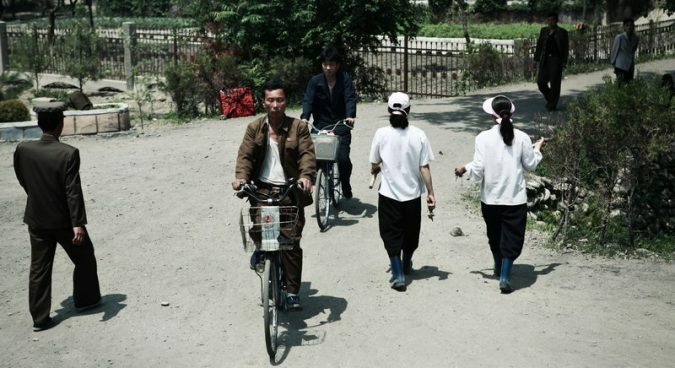 By the early 2000s, there was a clear division of labor in the increasingly sophisticated world of the North Korean commerce: there were retailers who sold merchandise to customers, there were local wholesalers, and there were people who did what was called “running trade” (talligi). These people bought goods from wholesalers in one place and moved them to other areas, where the goods could be sold at great profit. This was the business Ms. Pak joined. 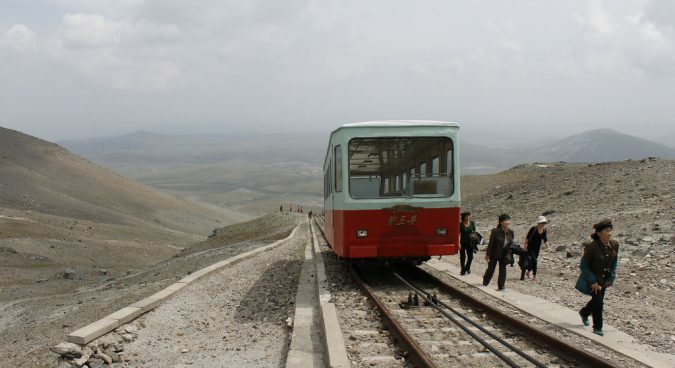 In more sophisticated market economies, goods would be shipped more or less automatically, but this was not the case in North Korea in the early 2000s. Ms. Pak bought fish and other seafood in her native town on the north east coast, and then moved it across the country, to the towns around Pyongyang and further south. Having sold seafood there, she would buy rice and other items which would sell well in her town and returned home. Ms. Pak did not work alone. As she told me: “only a team can do ‘running trade’ in North Korea.” She traveled as part of a team, consisting of two or three merchants. This was necessary for security reasons: the precious cargo had to be watched around the clock, and for a single merchant, even a short nap or trip to the restroom could result in cargo being stolen or damaged. Ms. Pak worked with her relatives, and told me that this was the only way to do ‘running trade’: “relatives are far more reliable than friends, if friends work together, they sooner or later start quarreling about profit sharing and responsibility and the like, while relatives work together”. “Blood is thicker than water” in all pre-modern and semi-modern societies, and North Korea is, obviously, no exception. The cargo was heavy: during an average trip Ms. Pak and her team (two or three women in their 20s and 30s) had to handle some 300-400 kg of fish on their way south, and perhaps twice that amount on their way back. In some cases, the weight of their seafood cargo exceeded 600 kg and they came back with a ton of rice and other southern foodstuffs. The cargo had to move some 500-600 km. The only way to do this was via train. While privately-owned trucks began to appear around 2000, in Ms. Pak’s native areas the terrain and distance ensured that nearly all long-distance transportation had to be done by rail. Ms. Pak arranged for tickets and travel permits which were (and still are) required for any North Korean who ventures outside his or her place of residence. Getting a permit was not particularly difficult: a small bribe made things smooth and fast. Then, a place for cargo had to be arranged. By the early 2000s, many passenger trains included special cargo carriages which could be used for storing and moving merchandise, accompanied by passengers, and a space in such a carriage had to be arranged too. Sometimes when loading and unloading cargo, Ms. Pak and her team hired professional porters who were easy to find at any train station. However, their service would cost money, and Ms. Pak and her teammates, trying to save every Won, often handled the cargo themselves. The trip to their final destination could take from 3-4 to 8-10 days, depending on the highly unreliable electricity supply. If the power suddenly went off, the train was stuck in the middle of nowhere, often for hours and even days. If terrain and weather allowed it, passengers could disembark and have some relaxation times in the fields (but some team member had to watch cargo anyway). There were cases, however, when the train was stuck in a tunnel or on a bridge, so unlucky passengers had to spend long hours in crowded carriages, often blisteringly hot or ice cold. Most of the passengers (some 80%, Ms. Pak believes) were her colleagues: other itinerant traders, while the remaining people were traveling due to official or even personal reasons. Ms. Pak emphasized that none would travel for fun: the idea of tourism was completely alien to her and people around her in those days. It was assumed that people normally travel only for work, business or, perhaps, for meeting relatives and attending family functions. The trips usually required a change of train, and a long wait for another at a small station. The train timetable was a pure abstraction, people could sometimes wait for days in a row. Fortunately, accommodation was often provided by entrepreneurial locals: many houses in the vicinity of the station provided the travelers with a place to sleep. The inn-keepers went to the station to meet every newly arriving train and then escorted the travelers to their temporary accommodation. Luxury was not expected: a room usually had as many sleeping guests as its floor areas allowed, but it was a measure of comfort. Teammates took turns: at least one person stood guard near the cargo which was left at some corner of the station square. At stations, the major threat was presented by homeless children, always ready to use any opportunity to catch a merchant off-guard and run away with something. On the other hand, robbery was rare: even in the days of the 1996-99 Great Famine, and its aftermath, North Korea remained a remarkably non-violent place. Upon arrival, Ms. Pak went to the local wholesale merchants who might have been interested in a new shipment of fish, and negotiated the sale. The payment was done on the spot, in cash – back then, before the disastrous currency reform of 2009, they normally used local currency. Then it took a couple of days to buy rice or other merchandise for resale, and, having completed transactions, the women departed for the long journey north, back home. The schedule was unpredictable, but as a rule the entire ‘trade expedition’ took about three weeks, or even a bit more. These trips were hard work, but the money was good, if not exceptional: it allowed Ms. Pak, the main breadwinner, to keep her mother and grandmother in relative comfort. They were not rich, but could eat as much as they wanted, and could afford some minor pleasures – like, say, a DVD player which was largely used to watch smuggled foreign movies. In her late 20s, Ms. Pak, driven largely by her personal circumstances, left her native town and embarked on a cross-border journey to China, where she began a new life as a domestic worker and eventually settled down. Countless women continued her work, albeit in gradually improving conditions: mobile phones, more reliable trains, even some private money transfer services make the ‘running trade’ less demanding than it once was. 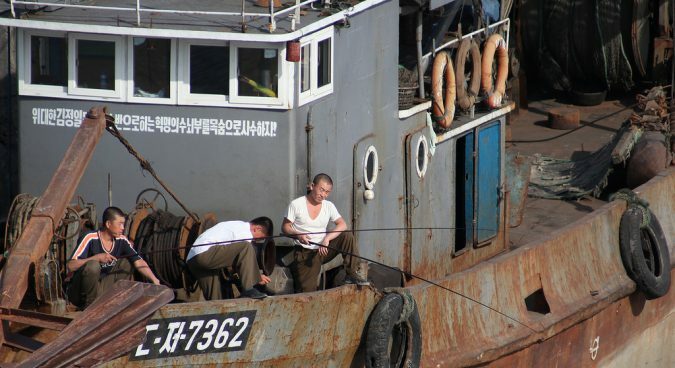 But it was these early traders, who’d spend weeks traveling across their country to sell fish, that laid the groundwork for this North Korean transformation. Subscribe to read the remaining 1502 words of this article.